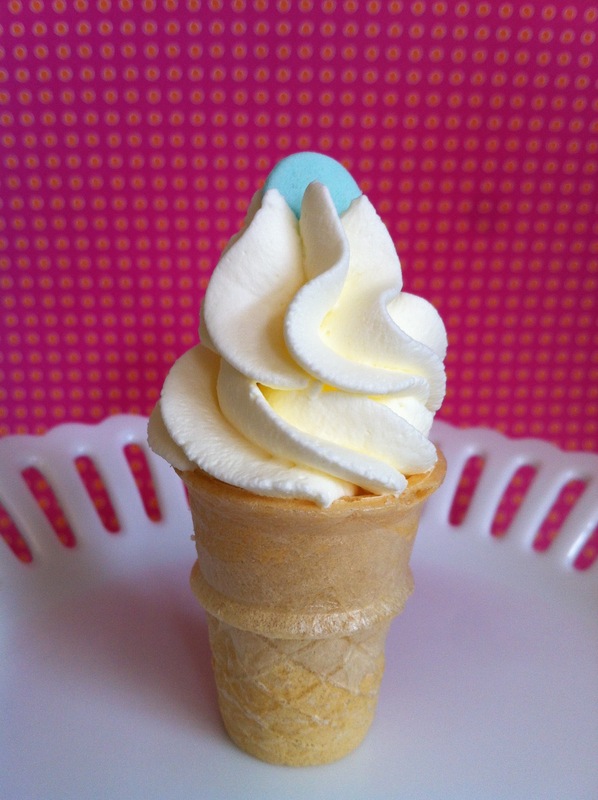 ice cream cone cupcakes | what is clara eating today? for clara’s birthday today, i made these ice cream cone cupcakes for her class to share. I got an idea to do this after seeing Dawn’s posting on mini coconut candy cone at ketocook.com. you can use any keto cake recipe. I wanted to use the almond flour vanilla cupcake recipe, but since clara’s school is nut-free, i had to use coconut flour. the cupcake didn’t turn out exactly as i wanted, but for now, this is what i have. hopefully i can make better coconut flour based cupcake soon. Whip the egg yolk and Truvia (13g). Add water and canola oil and beat well. In a separate bowl, mix together coconut flour and baking powder. Sift three times. Add the dry mixture to the wet mixture and mix well. In a separate bowl, make meringue by whipping egg white as you slowly add Truvia (13g). Whip until stiff peak forms. Add 1/3 of the meringue to the chocolate batter. Using rubber spatula, gently fold in the meringue. Repeat for the rest of the meringue. In mini ice cream cones, pour in the batter evenly divided. In preheated oven (325F), bake for 15-17 minutes. For frosting, whip the heavy whipping cream and Truvia(13g). Add any flavors or food coloring at this time. Are these ice cream cones in the keto calculator?? You have to do your own calculation. 1 mini cup has 0g fat, 0g Protein, 1g Carb.